Has 13 recipes, 2 public recipes. Has 432 flavors in inventory. Irrelevant_being supports All The Flavors. Upgrade yourself. Made this for a friend a while back and thought I would share. 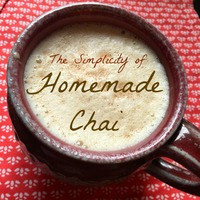 I am not a fan of Chai tea but I actually enjoyed this. Capellas version of Chai tea is very good. Then with the raspberry thrown in it makes a quite pleasant vape. I would imagine you could sub the raspberry for other fruits and it would be good as well. No aging needed with this one. So feel free to mix it up, I would like to hear some feedback. Hope you enjoy it as much as the person I made it for does! 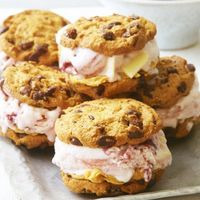 Going for a chocolate chip cookie sandwich with a strawberry ice cream in the middle. First attempt but both of these flavors are good to me. This will be tweaked many times I'm sure but this is the starting point. Not one of my favorites of this type of juice, I wanted to like it but it's just not doing anything for me. This is a fantastic recipe, I'm not even a banana fan yet I can't stop vaping it. Well done! This stuff is addictive, we'll done! This stuff is fabulous, I've only let it sit 2 days so I can only imagine how good it will be after a long curing period. Well done and thanks for sharing. I did not expect this to be good at all but I too needed to find a use for FLV Crunch Cereal. Right off the bat this stuff is delicious. It has its own unique taste that I can not put down. Anxious to see what the aging process will do to it. Wow, this is very tasty. I was originally mixing this for my wife and did not think this was something I would like. I typically do not like coconut or pineapple in any ejuice, however upon first taste I changed my mind. Great combination of flavors and I'm with you on loving FW Strawberry, I overlooked it for a couple of years since no one really used it but then I was trying to recreate a strawberry custard and realized that was the strawberry that I was looking for. Well done!